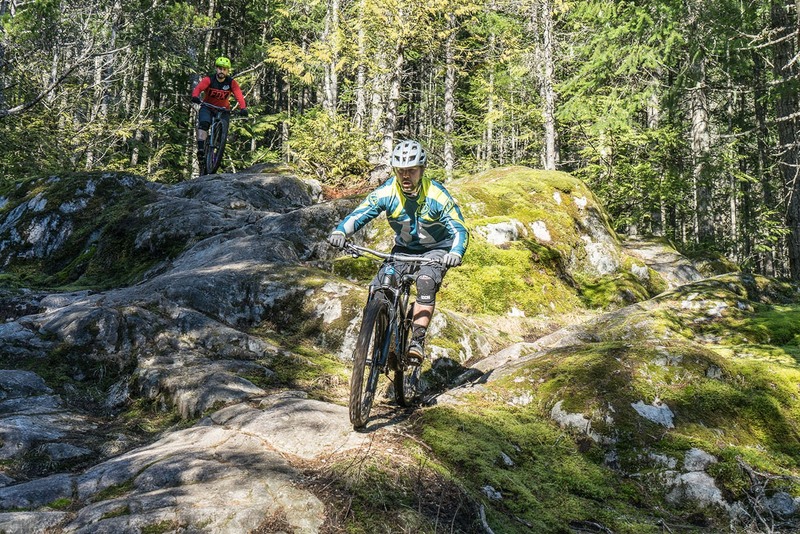 Come experience a full day mountain bike skill camp in Squamish, Whistler, North Vancouver or the Sunshine Coast, designed and focused to get the most out of your riding in the shortest time possible. Hang out and grow your skills with like minded riders in our intimate class sizes and keep the focus on you and your development. Isn't it time to break down some barriers? One thing that most of us could benefit from, yet we completely overlook is investment in our Mountain Biking development. Think back to when you began riding a mountain bike. If you are like many of us, you never took a Private Lesson, a Skills Camp or a Learn to Ride clinic and instead you threw a leg over the saddle, went out with a couple of friends and were graciously inducted into the school of hard knocks and shin scars. As time went on, you improved and began conquering your fears. While falling is considered by many as part of the sport, it’s never fun and can instantly ruin an otherwise wonderful riding season. 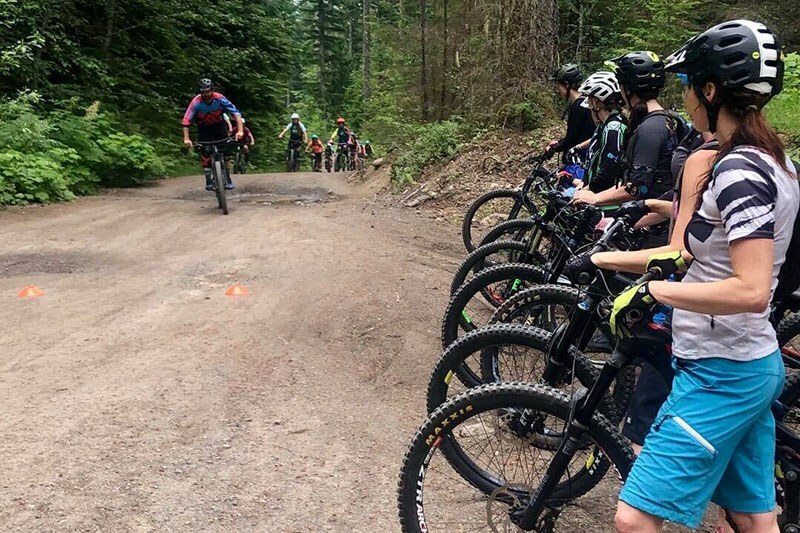 Whether you are looking to unlock a gnarly feature, open up an entirely new level of trails or just improve your confidence and control of the bike, our Skills Camp – Core is designed to redevelop how you ride a mountain bike. 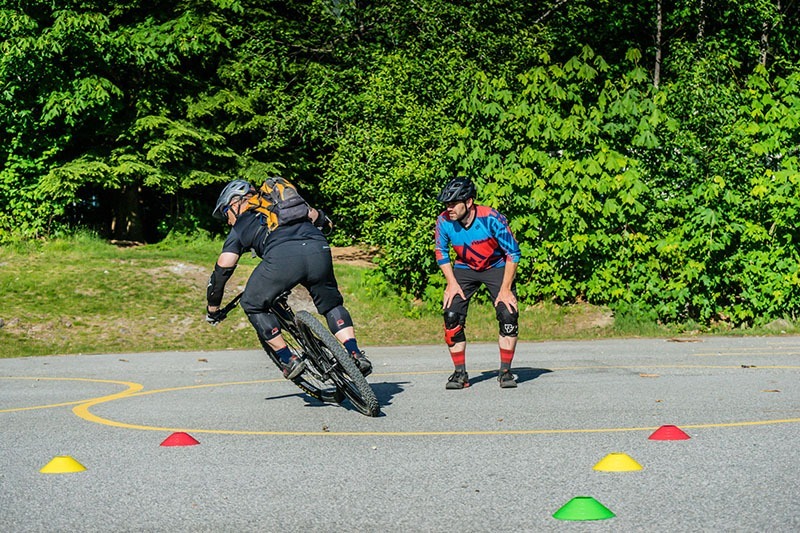 The instructors at RideHub want to help you understand the underappreciated fundamentals of mountain biking and show how to build the broadest and strongest base that all other riding skills are built upon. This camp will fundamentally improve the way you ride your bike. Here is some of what we’ll cover! We pack a lot into our single day, 6 hour Core course. Whether you are new and want to learn to ride or a seasoned veteran that wants to break old habits, look at the list below for an idea of some of what we will cover throughout our day together. The goal is to come out of the day with a re-built riding foundation from which all advancement will be platformed on. 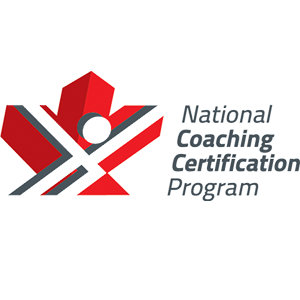 ”My husband and I attended the Core skills camp and even though our skill levels were very different, we both got a lot out of the session and had quite some fun too! RideHub Mountain Bike Skills Instruction is guaranteed to improve your riding, or you don’t have to pay. ”Being pretty new to mountain biking, I found the skills camp to be very helpful. The instructors helped me understand how to build stronger core riding skills which have helped me be more confident on the bike. Your mountain bike should be in good working order and should have been recently serviced. Our Breakthrough Clinic instructors will perform a safety check on your bike prior to the course starting and while we will assist with any minor issues that are identified, participants are ultimately responsible for the condition of their own bicycle. Participants with unsafe bicycles will not be allow to participate. 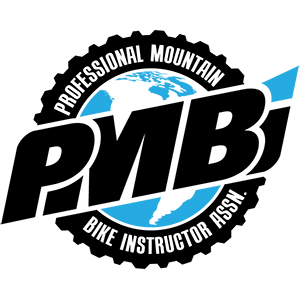 For the Skills Boot Camp: Core, it is imperative that riders use flat pedals (no clips or clipless) for both safety and development reasons. Flat pedals force a rider to use correct pedal position while performing maneuvers. We have a limited stock of Flat Pedals so let us know as early as possible if you need to borrow some. It is advised that you also bring any body armor that you are comfortable spending the day in. Most riders in our Group Coaching sessions will bring knee/shin protection and some will also bring elbow protection. Your mountain bike coach may also wear armor they are comfortable in. If it helps your confidence and doesn’t hinder your endurance, consider bringing it. Ultimately, it is your decision how much you want to armor up for your lesson. Because we will be spending a good portion of the day on the trails, it is your responsibility to keep yourself hydrated – and it’s easy to forget when you are having fun. Please make sure your water bottle or hydration pack is full of fresh water when you arrive. Remember, practicing Mountain Bike Skills can sometimes be more exhausting that just riding your bike! A group lunch is provided and if you have any dietary restrictions, please let us know. For “high-output” individuals, please bring any additional snacks/bars that you will need to consume with you. 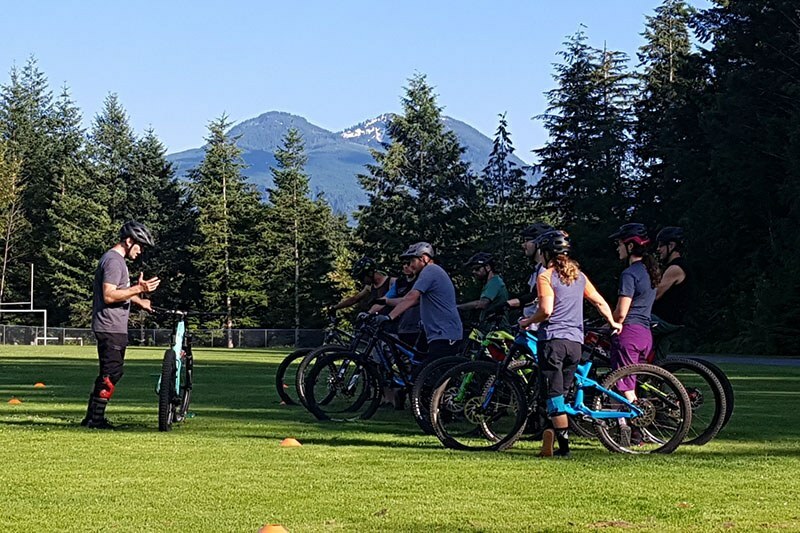 An understood & signed Liability Waiver is require from anyone who wishes to participate in our mountain bike group lessons or be provided with coaching through a skills clinic by the Archer Adventure Company Inc.